I find that with the cold weather, comes feelings of being uninspired make-up-wise. My skin tone is the palest during this time of year, and I really need all the help I can get to fake some colour, and make me look semi-human-like. 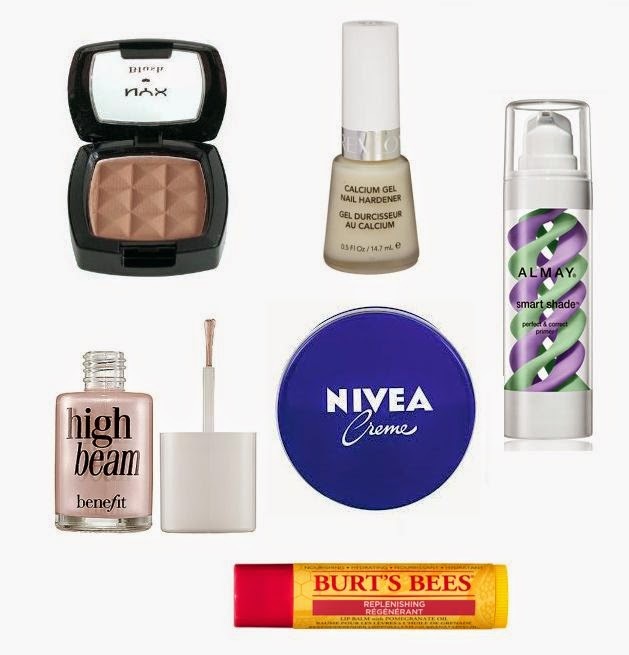 So here are some of my saving-grace beauty products that have been giving me life this winter. Click through to see why I love each and every one of these bad boys. NYX blush in “Taupe” – It’s no secret that I’m a pale gal. So, I’ve always been pretty terrified of bronzer – I had always been worried that it would make me look orange, or that I wouldn’t know how to apply it, and that I’d look ridiculous wearing it. Well, those days are behind me, because of a blush product. Yes, this is marketed as a blush, but NYX blush in “Taupe”, is a perfect bronzer for my skintone. It’s a matte, cool-toned brown, which works great for people with fair skin, like myself. I apply it under my cheekbones, aimed up towards the top of my ear, for some light contouring. It is easy to blend out, and a little bit of product goes a long way, especially when you are aiming for a light and subtle contour. It gives me that sun-kissed look that I definitely cannot achieve in a Canadian winter. 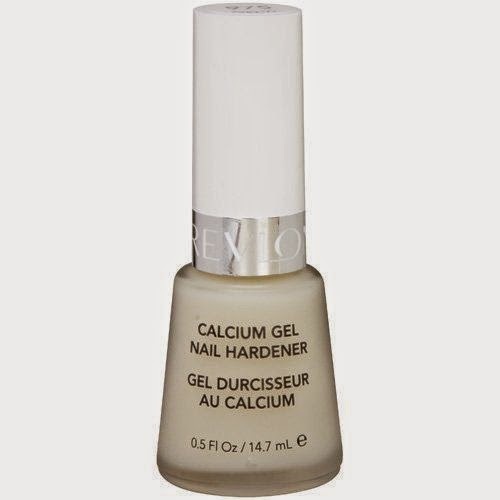 Revlon Calcium Gel Nail Hardener – I have been using this bad boy for years as a base coat, but it’s especially important for me to use in the winter. The cold weather makes my nails weak, and I often find them splitting or breaking, so Revlon’s Calcium Gel Nail Hardener is ALWAYS sitting out at my mani station. After a few uses you can see and feel that your nails are thicker and stronger. I’m not sure if they make this anymore, but I stock up on them at the SaleEvent.ca warehouse sale (for $1.00!). It has locations all around Ontario, and I believe that their Scarborough location opens this Thursday. Almay Smart Shade Perfect & Correct Primer – When I first started using a face primer, I went with brands that had a thick gel formula. However, those would take about 10 minutes to completely dry, which added a lot of wasted time to my morning routine. Then I stumbled upon the Almay primer at Christmas Tree Shops for only $4.00 – I figured “Why not?”, and bought a bottle. And boy, am I happy that I bought it. It is great in the winter because the green and the purple even out any redness I get from my winter allergies, especially around my nose. You only need to use a bit of product, and it apples very thin and light, and therefore dries within minutes. You just blend it out until it disappears – be careful about the first time you use it, though – the first time I used it, too much purple came out and make my face look a little funny. I will definitely be buying this again (hopefully during a sale, as this particular product can cost a pretty penny, at retail price). 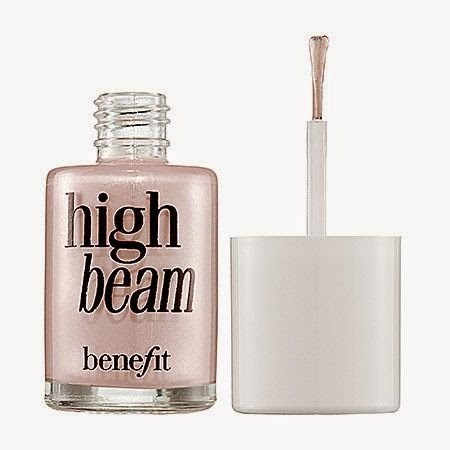 Benefit High Beam – I received a sample of this at Spark Sessions (where I got the chance to meet and chat with the lovely ladies of Benefit Canada), and I am in love! I just apply 3 little dots below my eye/above my cheek (right on that bone), and dab it with my finger until the dots are blended out. It adds that natural and effort-less glow, that I have been sorely missing due the cold weather and gloomy-feeling days. And when it catches the light? Oooh, honey – gorgeous! Nuff said – I’m a believer. 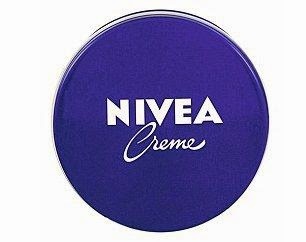 Nivea Creme – I also got this at Spark Sessions, and have been using it ever since. At first, I thought it would be good for my face, but it was very oily. I later used it on my hands and wowza! This winter has been the harshest on my hands, especially with having to use hand sanitizer like 10 times per day (cold season, and all). I found that the back of my hands were getting extremely dry and flaky, but just a pea-sized application of the creme does the trick. At first it feels very oily, but within 5 minutes it seeps into your skin, and your are left with healthy feeling hands. Burt’s Bees Replenishing Lip Balm with Pomegranate – If you are familiar with me, y’all know that lip balm is one of my vices – I apply it at least 8 times per day. If my lips aren’t feeling smooth or moisturised, out comes the balm. And Burt’s Bees Pomegranate is my fave. The beeswax gives it a slightly thick waxy formula, which I love, because it means that it wont sheer off and disappear in 10 minutes. And the pomegranate makes it smells so good! 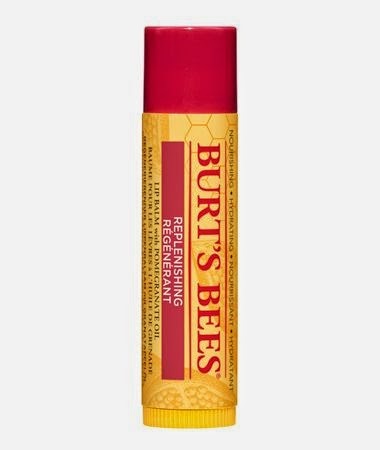 I stock up on this brand after Christmas time, when the Burt’s Bees gift sets go on sale, and bust them out in the winter to fight of those painful peeling lips. Cheers to you Burt’s Bees! NYX Taupe is my all time favorite contour shade and I've almost hit pan and I find it so hard to find here in Canada! 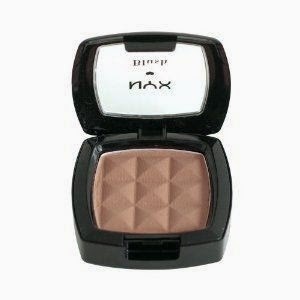 I heard that NYX is re-releasing taupe in their HD blushes, but I dont think it's EXACTLY the same. I think it might be a bit more warm toned. So Im definitely being careful to not over-use my current one – I dont wanna run out of it! I love NYX taupe to contour! Such a great shade! Great post!